Biotechnology is an upcoming carrier oriented subject which is in high demand having great scope in different areas including industries related to health, agriculture and environmental sector. In view of this, Lucknow University increases 30 seats more (in self-finance mode) for the admission in existing M.Sc. Biotechnology programme. The admission is done via entrance test as per rules of Lucknow University PG programme. 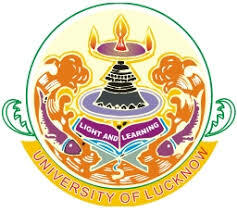 For details visit the website of Lucknow University (www.lkouniv.ac.in).